Homemade Honey Harissa Vinaigrette is a crazy easy and totally crave-worthy salad dressing! 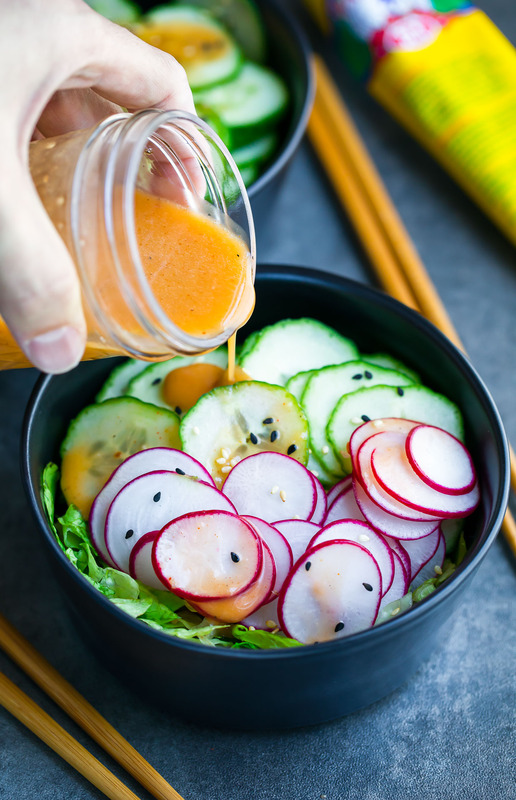 This versatile vinaigrette compliments everything from plain green salads to veggie packed cucumber and quinoa bowls. I’m not sure which has me squealing more – my new blog design or the recipe. Pretty sure the recipe wins just for the simple fact that I can eat it. I seriously want to drizzle this honey harissa dressing on EVERYTHING! The salad above was a medley of thinly sliced cucumber, radish, and romaine lettuce (aka the only tasty veggies in my crisper at the time) but this delish dressing also crazy amazing over pretty much every veggie ever! Carrots, red onion, spring mix, spinach, tomatoes, peppers… I could go on and on! I’m also totally jonesin’ to try this honey harissa vinaigrette over a shredded brussels sprout salad so that is for sure next on my faceplant line up! The possibilities are endless. In the meantime, let’s get our recipe on! This delicious dressing reminds me of the chipotle vinaigrette at Chipotle, but with a flavorful harissa vibe to it. Sweet, tangy, with a kiss of smokiness…Veggies have never had it so good! Combine ingredients in a mason jar and shake well. Pour over salad and dive in! This dressing tastes great the first day and the next! No harissa? No problem! I’ve seen it at stores such as World Market and The Fresh Market and personally have ordered mine online through Amazon as well (Prime FTW!) 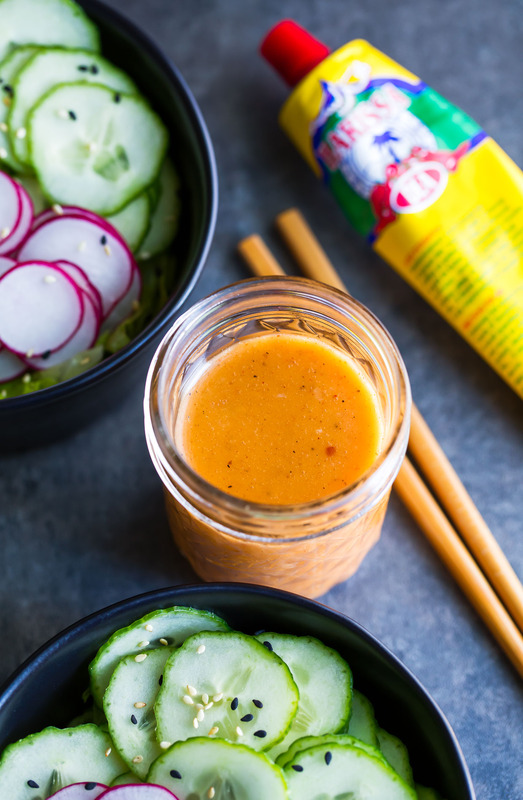 but in a pinch you can totally try this dressing with Sriracha chili sauce or even Sambal Oleck! The dressing will have a different flavor but still be a super tasty salad topper. Be sure to start small and increase the amount as you taste + tweak because both swaps are a bit more intense in the heat/spice department! 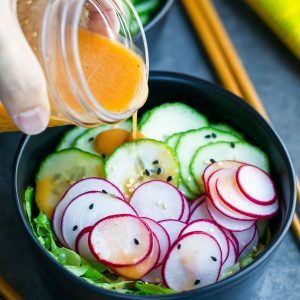 I’m so seriously stoked for your to try this tasty harissa dressing recipe! YOU GUYS!!! MY BLOG HAD A FACELIFT! And like a total goober, I forgot to even discuss this amazingness with y’all. 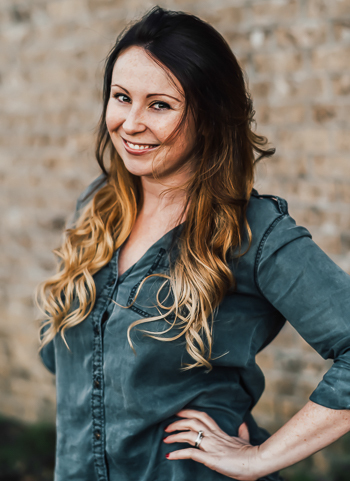 I’m straight up loving all the awesome features Lindsay sprinkled throughout the site. One of my favorites is a new threaded comment section where you can see notes from everyone that has made the recipe or read questions that others have asked about swaps and such! <— Crazy awesome right?! Ooh and the recipe gallery is now not only beautiful, but easier to use than ever. I hope it will help you find the perfect recipe to try next! Let me know if you need help finding anything at all. Looking for more stellar salad dressing recipes? This was so good! I made a bunch extra and bottled it last night after we had it with dinner, I’m excited for lunch today! Thanks so much for sharing! Ahhhh yay! Thank you Sam! You just can’t beat the taste of homemade salad dressing and just like you, I want to drizzle this vinaigrette on everything! So glad you’re enjoying it Joanie! Your design looks fabulous!! And this vinaigrette looks and sounds SO yummy… I’d be putting it on everything! It’s seriously so good on everything I’ve drizzled it over so far! Can’t wait for you to try it Sues! Thanks! Another keeper! Love all of these dressings, Jen!